The style of this sketch portrays the feeling of ‘distancing’ from the planet Mars, shown as a small globe against a larger, black background. 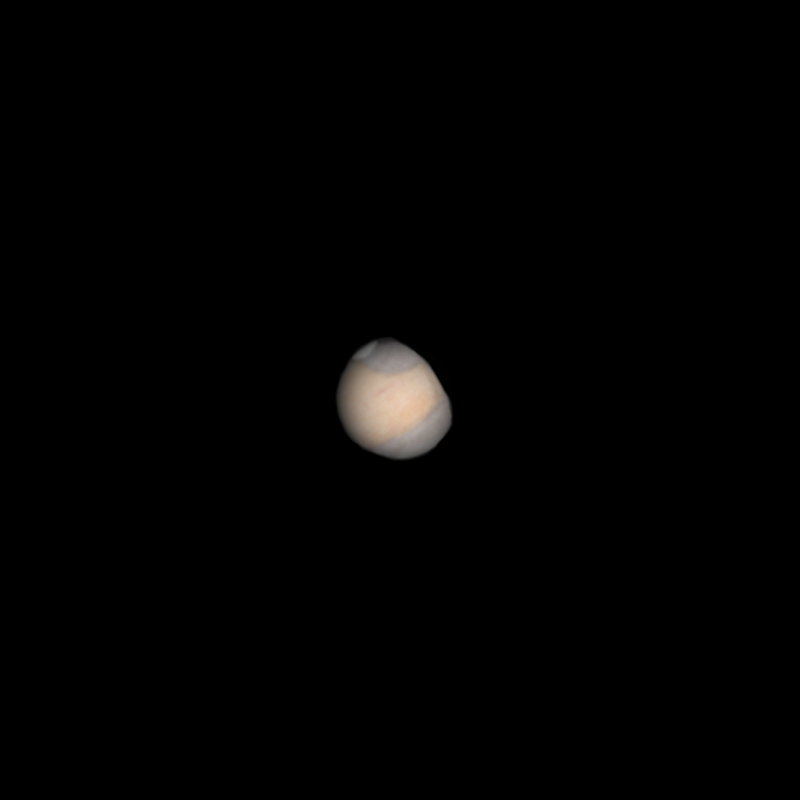 Mars’ apparent diameter is now reduced to around 6″, which is far from a maximum of 14″ I have viewed and sketched last January. Still, 5 minutes of observation time in not so ideal atmospheric conditions (lots of air turbulence) and bright moonlight were enough to detect the main albedo features on the surface of Mars, currently residing in the constellation of Leo. I didn’t think it worthwhile to use colour filters due to the limited seeing conditions. However a light blue filter could have slightly enhanced the visibility of the features. The much reduced north polar cap was seen as tiny bright patch adjacent to Niliacus Lacus. Underneath, the prominent Mare erythraeum was also visible. No other subtle features were detected along the edge of M. erythraeum next to Chryse. Tharsis appeared bright. Beautiful sketch. It is getting more difficult to see much detail visually. This sketch is very well done.